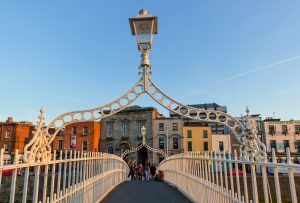 As we all know, Dublin is a wonderful city, filled with fascinating people and brilliant architecture, but as a homeowner, you might feel inadequate compared to others when it comes to your property. If you’re looking to make your Dublin home something you take pride in, the first step to achieving this is by having some new PVC windows from Turkington installed. There are many reasons why you should choose PVC windows for your Dublin home, but to keep it simple we’ll stick to 3 of the most important reasons. Because Dublin is a city by the sea, it can often be subject to particularly chilly winds, which is why it’s important that your home is kept warm. 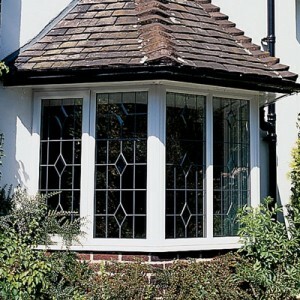 Our PVC windows excel at maintaining heat within a home for a number of reasons. They utilise energy efficient glass that is both A-rated and covered with a low-e glass coating. You can also choose from double or triple glazing, which alters the number of glass panes within the window, further protecting you from the elements. With less heat leaving your home, you’ll be spending less money on other methods of heating, so your PVC windows will be helping you save money. Few things are more important than the safety of you and your loved ones, and modern PVC windows from Turkington are incredible at keeping out unwanted guests. Did you know that 30% of home intruders enter through a window? This statistic might make you feel vulnerable but there’s no need to feel like this if you own windows from Turkington. Your Dublin property will be protected thanks to the wide amount of security features our window range has. Our ‘Turkington Secure’ windows make use of multi-point locking systems on sash windows and shoot-bolt corner locks on other window types, as well as superior robust reinforced frames to ensure strength and security are attributes of every window. These are just a couple of the preventative measures we take, not to mention that the double or triple glazing will make it harder for an intruder to smash your window. 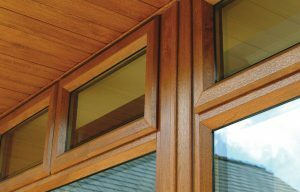 Offering both the styles of sash and casement windows, there’s plenty of customisation variety when it comes to PVC. Our PVC sash windows are available in one of 28 distinct colours and are fully tailor-made. There’s even the option of woodgrain effects, to give your sash windows a more authentic look and feel. Our casement windows are also available in a variety of colours, boasting 13 unique options alongside the choice of solid colour or timber effect. Unique to the casement range is also the option for a dual-colour option, which allows you to have a contrast between your interior and exterior colour to match the appropriate surrounding. Make your Dublin home stand out amongst the rest with PVC windows that show you’re proud of your property. 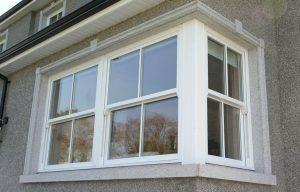 Turkington Windows installs home improvements and double glazing across Ireland. To find out more about our full range of products including windows, doors, home extensions, and fascias, you can contact us or browse our website.